New research has found some carnivores in Kananaskis Country have altered their behaviour in response to the presence of humans. The results come from a University of Victoria master's student, who studied data from motion-triggered cameras in Kananaskis and the more remote Willmore Wilderness Park north of Jasper. Sandra Frey says she noticed wolves in K-Country became more nocturnal so as not to bump into people during the day. "If animals are changing how they're active over the day, it also changes the way they're going to be interacting and competing with other species and might also impact the way that these species are able to co-exist with each other," Frey told the Calgary Eyeopener. She says there was a marked difference in the behaviour of the wolves in Kananaskis, where there's much more human presence. "We know that humans generally are more active during the daytime. If they're going to go hiking in the Kananaskis, it's not likely to be during the night. "And it's the same with traffic. 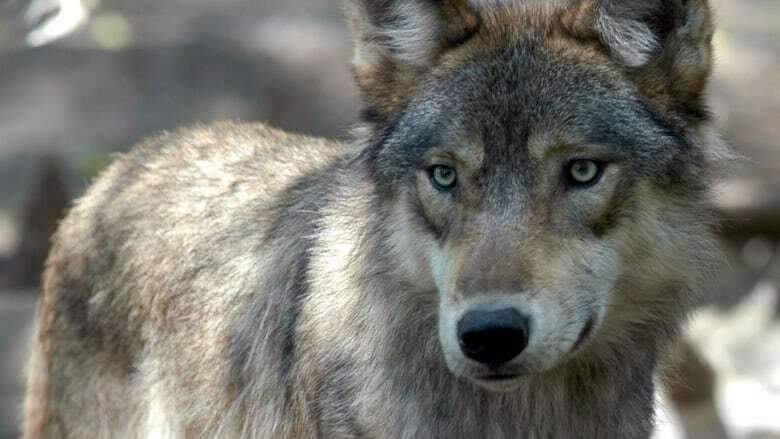 It's generally more of a presence during the daytime and wolves are responding to that by basically shifting their activity, shifting their behaviours, into the nighttime." Frey says these behavioural shifts could help to detect future changes to species numbers, and help pre-emptively manage losses in the future. With files from the Calgary Eyeopener and CBC's Diane Yanko.